Dr. Baqersad earned his M.Sc. in Automotive Engineering (Body Structure Design) from the Iran University of Science and Technology in 2008. He went on to receive a M.S.E and Ph.D. in Mechanical Engineering in 2014 and 2015 from the University of Massachusetts Lowell. His primary teaching and research interest are in the fields of Analytical and experimental modal analysis with structural dynamics applications, Finite element analysis and model updating, Measurement techniques with a focus on non-contact methods, Mechanics of Materials, and Vibrations. A full description of his work can be found in the link above. 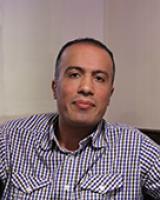 Aside from his extensive research career, Dr.Baqersad has had many professional roles in his field including Associate Editor of Experimental Techniques Journal (January 2016 to present), proposal reviewer and panelist for NSF, and organized and chaired two sessions on Digital Image Correlation and Photogrammetry at IMAC 35 (2017). He has chaired and served as a panelist for many conferences and served as a reviewer for many other journals.